The South Carolina Cable Television Association (SCCTA) was founded in 1971 as a non-profit trade association whose members joined together to advance the common interests of the cable industry in South Carolina. SCCTA's membership is comprised of South Carolina's major cable companies including Time Warner Cable, Charter Communications, Comcast Cable Communications, & Atlantic Broadband who serve over a million cable households in the Palmetto State. The SCCTA also represents a number of Associate members comprised of corporations and firms with cable industry interests. The SCCTA is governed by an 8-member Board of Directors comprised of cable executives across the state. In 2008, the office of the SCCTA moved to the capitol city of Columbia South Carolina and the Board of Director's hired Ray Sharpe to serve as the SCCTA Executive Director. Mr. Sharpe brings over 30 years of government service at agencies such as the SC Public Service Commission, the SC State Senate, the Budget & Control Board and SC Educational Television Networks. SCCTA provides services specifically created to meet diverse need of the association membership. 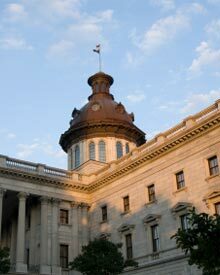 These services range from representation at the SC state house, Capitol Hill, member education, and industry research. The South Carolina Cable Television Foundation was formed in 1997 to support educational opportunities in communications and communication technology. This foundation supported the very important Cable in the Classroom initiative along with over a half million dollars in scholarship support for SC College students.